Press Release: Polytek® Development Corp. Announces the Acquisition of BCC Products, Inc.
Easton, PA & Franklin, IN – March 5, 2019 – Polytek® Development Corp. (“Polytek”), a manufacturer of specialty polymers for mold making and casting applications, announced today the acquisition of BCC Products, Inc. (“BCC”). Polytek is a portfolio company of Arsenal Capital Partners. Located in Franklin, Indiana, BCC is a leading supplier of specialty tooling, mold making, and casting polymers, serving customers across automotive, aerospace, foundry and marine markets. BCC manufactures world-class polyurethane elastomers and resins, CNC tooling board and foam, epoxy, silicone elastomers, and polyester repair materials. 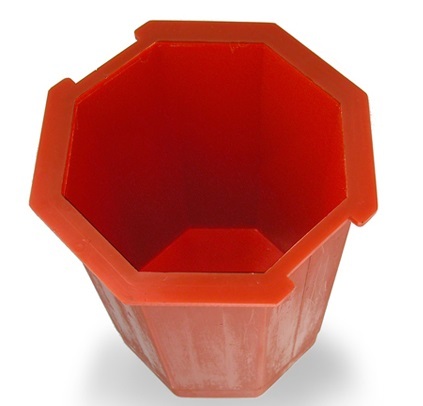 Beyond their popular standard product lines, BCC also offers custom-formulated polymer systems for unique applications. Roger will continue with Polytek and focus on growing the company’s position in the molding and casting industry. Genesis Capital, LLC acted as the financial advisor to Polytek. In 1974, BCC Products Inc. was founded in Holt, Michigan, with a mission to provide the specialty chemical industry with top-notch service and products. As our company grows, it is important to us to stay in close, personal contact with our loyal clientele. To this end, we are sending out a monthly letter to you, our valued customers, keeping you up-to-date with new information about products and events at BCC Products Inc. In the last three years, BCC Products Inc. has had a major growth spurt in our technical and sales force, as we have added expertise in urethanes and epoxies to our ever-growing list of proficiencies. The main focus of this newsletter will be to introduce you to these new, rapidly developing materials. 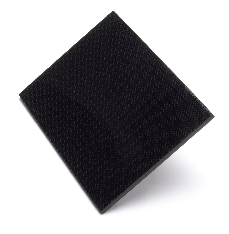 BCC Products has a new family of high performance two-component MDI elastomers. When processed and cured at elevated temperatures, this system can give you the performance of a standard hot-cast prepolymer system without the use of curatives like Mboca. The PTMEG series, when used with BC8590A isocyante, cures to a range of hardness from 60-95 Shore A, giving mechanical testing values far above standard room temperature systems. 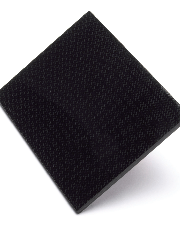 BCC Products has a multitude of high wear materials. Whether you are looking for foundry application, sandblasting cabinets, or vibratory tubs, we have a material that will meet and exceed your needs. BC 709 and BC 809 are TDI systems designed to be used when curing at ambient temperatures, and a high level of mechanical properties are required. The BC 8500 series is a family of two-component, easy-to-use, room temperature mixing and curing MDI systems. With a range from 65-95 Shore A and a pot life of around eight minutes, it is an ideal system for casting general parts, seals, or any other widgets you may need. 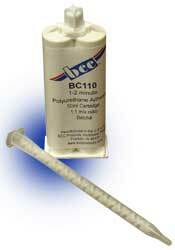 BCC Products has just introduced BC 1000, a new silicone-based release agent. 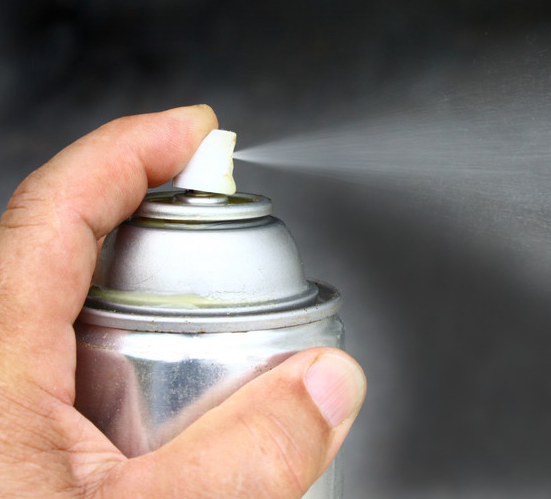 BC 1000 exhibits good release characteristics in both elevated and room temperature application for urethane and epoxy molding, and is available in both bulk and aerosol packaging. At BCC Products, we recognize our customers are the reason we are here. Do you need help with one of our products? We are always available to offer you our technical assistance and support. In addition, if there is a product you need, contact us, and we can make it! We produce custom formulations every year for our clients, so your solution is just a phone call away. n the infusion resin series. BC5500 is a very low-viscosity toughened system. BC5502 is a 60-minute low-viscosity RT toughened infusion system and BC5503 is an intermediate to high temperature low-viscosity toughened infusion system. 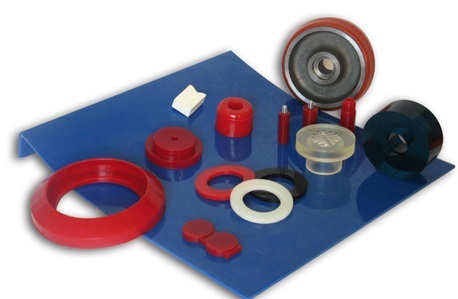 BCC Products manufactures a wide variety of cast elastomers for many specific markets. The BX SERIES of urethanes are formulated to stand up to the harsh conditions seen in the concrete construction market, whether casting large blocks, walls, or stone veneer molds. BX31, BX41, BX51, BX71 and other BX products can handle the toughest environments on Earth. We will be attending the JEC Europe Composite Show & Conference in Paris, France March 11th-14th 2014. We look forward to seeing you there. Hybrid Structures: Weight reduction is now crucial in transportation. Hybrid structures allow to take the best of each material. Today marks the 39th Anniversary of the founding of BCC Products. We have enjoyed serving our customers over the decades. We are looking forward to continuing our longstanding relationships and forging new ties for many years to come. BCC Products, Inc./Blehm Plastics—innovators of the epoxy clay systems, polyurethane fast cast systems, and many other products— have done it again with their newest innovations: the BC100 and BC150 polyurethane adhesive systems for super-fast set bonding of multiple substrates. The BC110 is a super-fast set (1–2 minute) polyurethane adhesive for applications that require super-fast setting adhesive and great strength. Developed for quick repairs to automotive trims, dash panels and holding fixtures, the BC110 also is used in sport footwear bonding of soles and quick design bonds. The BC150 is a fast set (5–15 minute) gel-time polyurethane system, excellent for automotive and marine use, as well as sign and prototypes. It offers, without primer, excellent bonding strength to multiple substrates and materials. Designed for bonding applications that require a longer gel-time than our BC110 superfast system, BC150 allows more time for adjusting the set and placement. Both the BC110 and BC150 polyurethane systems are a 1:1 mix ratio available in 50ml and 400ml cartridges. Without the need for primers or heat treating, both systems bond well to such surfaces such as aluminum, stainless steel, ABS, PVC, polyurethane, composites, thermoplastics, thermosetting plastics, wood, glass, and concrete. Together, BCC Products, Inc./Blehm Plastics has been a leader in epoxy formulation and resin technologies for over 80 years. Using new technology BCC/Blehm has developed an innovative low-viscosity epoxy adhesive/laminating resin for tooling and part bonding. BC5009 is an unfilled room temperature curing epoxy system with high performance capabilities. Built for companies needing a 30-minute pot-life and an easily applied adhesive for bonding items like tooling/modeling boards and mid-to-large epoxy parts, as well as in other typical bonding environments, the BC5009 epoxy system will perform to your expectations. BC5009 is easy to mix, easy to apply by brush or trowel, and has excellent adhesion to most tooling materials and applications. Although this clear-amber epoxy adhesive is especially formulated for the bonding of wood and urethane model board, it may also be used as a laminating resin. The BC5009 system has the added advantage of being a color-indicated system that visually shows the mix ratio. When mixed to the proper ratio, the green hardener and amber resin cure to light translucent amber, promoting fast and efficient mixing, with no time wasted over-mixing. So, shouldn’t you be bonding with the best adhesive system for your high-performance demands? Look no further then BC5009 from BCC Products, Inc./Blehm Plastics. BCC Products, Inc./Blehm Plastics is proud to announce we’ve added the specialty chemistry of cyanoacrylate adhesives to our quality product line. The BC100 family of cyanoacrylates offers fast cure speeds formulated to bond those hard-to-bond surfaces with dependable strength. The BC100 adhesive comes in three formulas: BC100 Thin, BC100 Medium, and BC100 Thick. All three formulas perform to the exacting standards for which all BCC Products are known. 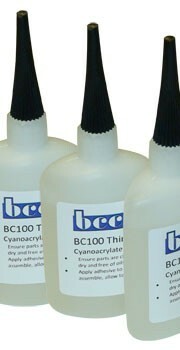 All our cyanoacrylate adhesives currently come in 1oz and 2oz bottles, with other sizes available upon request. BCC Products, Inc/Blehm Plastics, maker of one of the very first five-minute epoxy adhesives (BP9024), announces new 50ml dual-chamber cartridge packaging. This new packaging allows for fast, easy dispensing using a standard cartridge gun. BP9024 has been a top-selling epoxy adhesive for over 50 years; it is used in golf club bonding and general purpose bonding of multiple substrates. 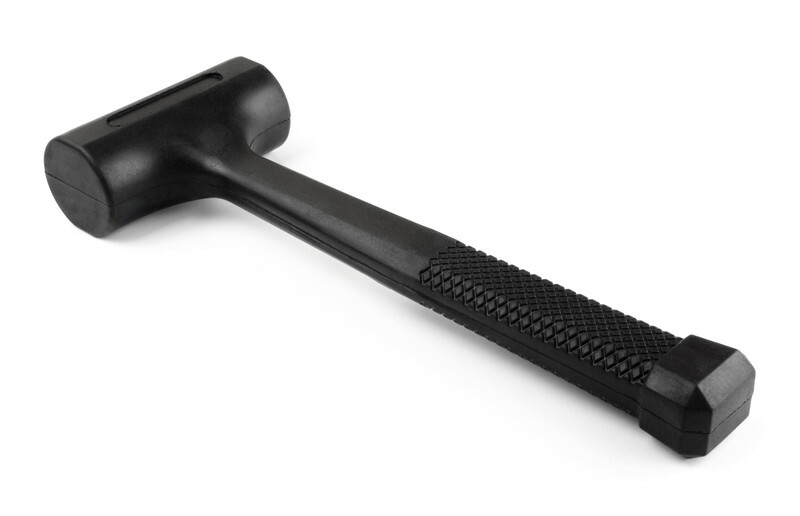 BCC/Blehm’s BP9024 has been used by professionals in every industry from automotive and aerospace to foundry and marine—and many more. Now, with the new 50ml packaging, you can more easily control dispensing, leaving a good bead for bonding. 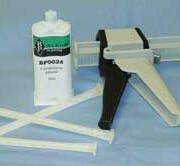 BP9024 50ml cartridges are available in cases of 45 cartridges.